We had an award winning 2018 and we hope that you did too! 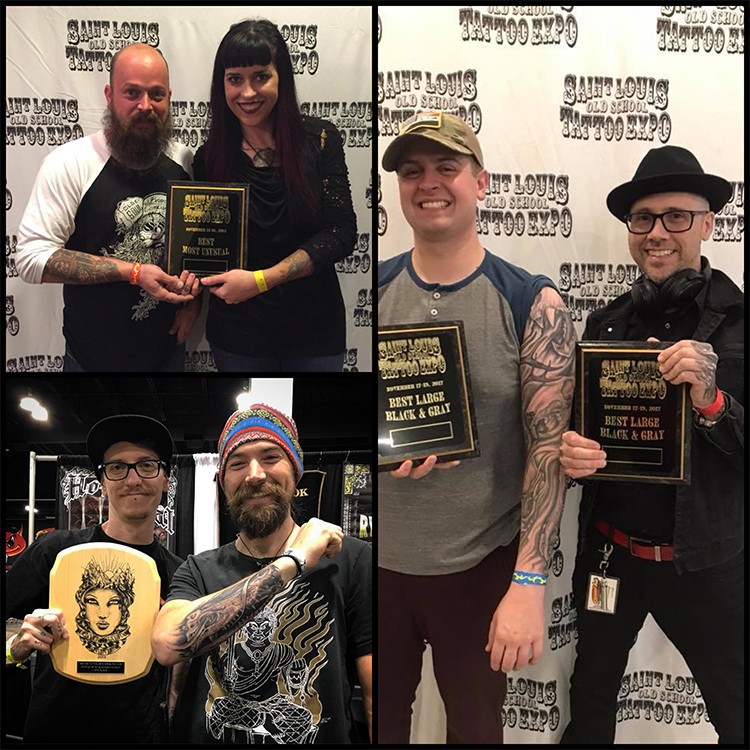 Senior artist and owner Ryan Cook won Best Large Black and Grey at the St. Louis Old School Tattoo Expo where senior artist and co-owner Brooke Cook won Most Unusual of the Day! Howard Neal won 4th Best of Day in Denver at the Denver Villain Arts Tattoo Convention! We look forward to doing your award winning tattoo in 2019!